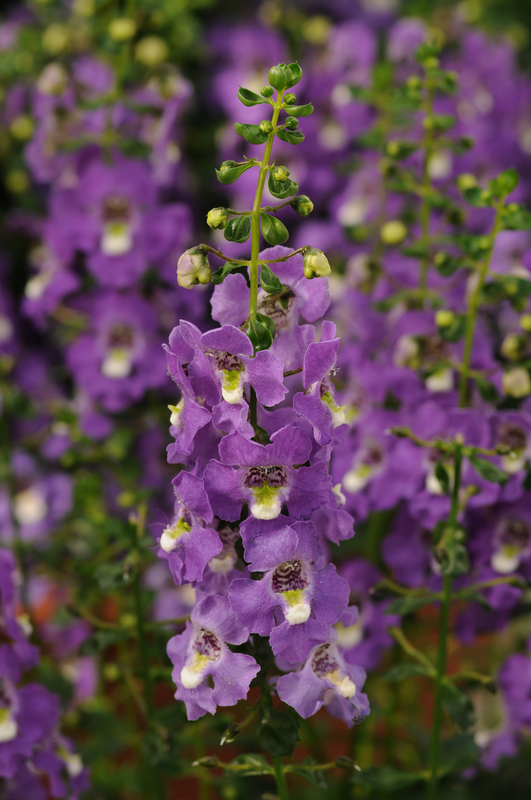 Angelonia Purple Archangel - Brad's Bedding Plants, Inc. The biggest blooms of any Angelonia series. Thrives in extreme heat, humidity and drought. This hardy plant has a spread of 10 to 12 inches and should be kept at a height of 12 to 14 inches. Full sun.